We (my wife and I) started looking at self publishing in 2007 as They Met at Shiloh neared its completion. At the time we had several reasons for looking into it as a friend of ours who runs a successful publishing company for homeschool science curriculum sold us on the importance of retaining control over ones own work. We had our own ideas as to why, some based on facts and others based on assumptions, but we never really considered the traditional route. I’d looked into the process of finding an agent, finding a pitch, and crafting a query letter but the further I dug the further I was convinced that I’d have to sacrifice something (don’t we all when we want something) in order to get something. This was when being self published was still like admitting in a crowded room that one had cooties. Might was well paint a sign on your forehead “second class citizen”. POD companies were springing up and there were printers who would print your book in bulk if you had the money and the storage space to house them. Other companies like Ingram Direct, would take you on and offer some relief from the various chores a publishing company had to do like warehousing, point of sale, distribution, etc. but they were marketing to the smaller specialty publishing companies who still had a foot in the traditional door. At the time, we didn’t know how much we’d be able to afford and the book had not been edited yet, but we did know that it might take us a good while to save. Of my own research into historical fiction (christian and non) 98% (not a scientific approach, just perusing titles and descriptions on bookshelves and Amazon) fall into the romance category. I’m not writing romance works or intended to have any. This may have been a fallacy on my part, but from what I already knew of the system, if I wanted to sell my work (another reason for not going the traditional route, the loss of rights) I might have to make major changes to the work to market it to the traditional audience for historical fiction. Now, do not get me wrong. It is not a good guy vs. bad guy thing. I understand that the publishers are in business. Each new novel purchased is an investment waiting to happen. If I were to give my own money to something on the chance that it may or may not pay out, I’d be darn sure that it was going to meet the highest potential for my own profit. As it stood, I did not believe that the work met the mass market for historical fiction. What I was writing was character, and in particular, soldier centric. It was also to look at how a battle could exert its own influence upon the characters, treating it as a character itself. 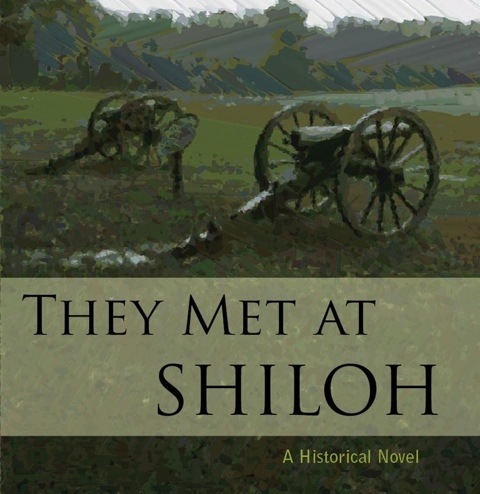 There is a niche market for military and historical fiction but Civil War fiction has remained primarily romantic in material. I told myself if I was to self publish for the sake of control, then I’d be able to write what I wanted to write, sans market in mind. I also began to accept that this would remain a hobby and not a full time endeavor. I had a job that I liked and it was fine to treat this as such. I decided that the gatekeepers can keep their gates, I wasn’t in it for the fame and fortune. I also knew that the process from a business standpoint wasn’t interested in making kings either. Flash forward to today. We invested heavily in a professional editor. Though I might be going it alone I also knew that quality mattered. An editor can’t change the overall tone of what is written or its message (at least at this point) but would sharpen what was already there. The editing was done by Preciseedit.com, a good friend of mine I’ve known since college and doing well for himself as a freelance editor. The cover was also professionally done. We knew what our limits where and when to seek help. Thanks to those like Joe Konrath and others who have begun to pioneer the indie self publishing industry via Kindle Direct Publishing and the Amazon Imprints, I can even follow some who have hit the water ahead of me and glean some insight and knowledge about the process. We have even begun to contemplate what would not have been thinkable before; the possibility of marketing other short stories and other novels in ebook formats to see where things lead. I’m sanguine about this last part. There is a lot of luck that has to be struck before being able to pull some of the numbers Joe and others are. The bigger the market the greater the chance. Still, there is a market to be exploited and we are beginning to see what the real possibilities are beyond what we would have just a few years earlier. I am in the early stages of figuring out what the hell it is I’m doing! So, the dream was to publish a novel. Done. Now what? It doesn’t matter if you build it, they don’t know where to come. Not just spamming friends and family, but planning out the path and finding resources for the kind of exposure I’d need to build a fan base has been both daunting and scary. Daunting in finding the right resources; scary in taking the next logical step in making contact. I’m beginning to compile a list of known Civil War book reviewers and forum sites and then will have to go ahead and do it. It is the doing it. Sending out the books for review and waiting for the outcomes. I know what I wrote and how the story developed, but I cannot be the judge of my own quality or desirability market wise. I can only hope that with some luck and the planning we can begin to meet some of our goals. Surprisingly, this isn’t much different than landing a traditional deal save that marketing is totally up to me instead of mostly up to me. The explosion of eBooks and the Kindle Direct Publishing, Smashwords eBook delivery/publishing models it is possible to make equal money to the traditionally published authors if you study the system and exploit it. It brings some hope, but nothing is for free and nothing comes easy. It is a different world now for self publishing. We have professionally edited the novel and professionally created the cover. Now we just need to leverage the social networks to accomplish what any Guerrilla Marketer would do, use what is free wherever possible. We shall see how this all goes. [amazon template=image&asin=B079WGRNT8][amazon template=image&cat=local&last=30&wishlist_type=Similar&asin=B079WGRNT8][amazon template=image][amazon template=image&asin=B079WGRNT8]Here goes your catchy caption.